Branson is not only known as the entertainment capital of the world, it is also home to many museums where kids can have fun while learning history. Museums are some of the most exciting attractions in Branson where you will get the chance to travel back in time as you get to step into some of the amazing places. 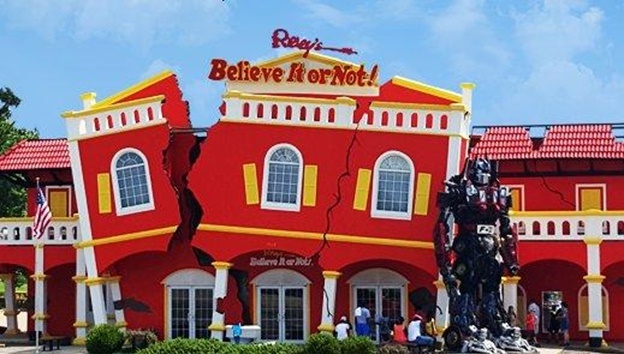 Some of the cool museums in Branson include the World’s Largest Toy Museum, Celebrity Car Museum, Ripley’s Believe It Or Not Museum, and Veterans Memorial Museum. The World’s Largest Toy Museum in Branson brings to life the old memories in a nostalgic tour of the toys that you played when you were growing up. This toy museum holds the record for the largest number of toys on display anywhere in the world. You will discover an amazing private collection on display which include cast iron collectibles, planes, trains, and automobiles, Disney memorabilia and dozens of other old toys which bring your childhood days back to life. This museum attraction in Branson has the most sought after toys of all time such as tin toys, action figures, model trains, huge Barbie doll collection, cast iron toys, and many more toys. Celebrity Car Museum is one of the newest attractions in Branson that features the Velvet Collection with impressive lineup of vehicles and automobiles anywhere in the world. The museum features a great display of about 85 to 100 vehicles – many of which have been owned by celebrities or have been featured in movies. As you tour the facility, you will see some of the most valuable cars in the world including the DeLorean (from “Back to the Future”), SUV (from “Breaking Bad”), Barricade (from “Transformers”), and an assortment of cars that will have you reminiscing the past. Ripley’s Believe It Or Not is another cool museum in Branson which features an amazing display of the odd and unusual things. If you’re searching for some typical activities and attractions in the area, then this is a place you won’t want to miss. The museum houses all of the wonderful things that Mr. Ripley came across in his travels. From the bizarre and strange to the captivating images, the museum is one of a handful locations in the world that shows off the most impressive finds of Mr. Ripley. The Veterans Memorial Museum is one of the world’s most impressive tribute to men and women who have selfishly laid their lives on the line to protect our freedoms. The museum offers the most breathtaking and unique displays of its kind. It’s one of the world’s premiere tributes to those who have served the wars during the 20th century. The building has multiple sections and areas throughout that remember the fallen and cover the conflicts that include World War I, World War II, the Korean War, and even Desert Storm. The museums are some of the most exciting attractions in Branson where you will get the chance to travel back in time in some of the amazing places.